Avize, a soil of pure chalk, called Belemnite conveys a fresh minerality coupled with Chardonnay grapes. Ay, an hill with a very sunny exposure planted with Pinot Noir grapes brings winy fruit flavors. Ambonnay planted with old vines of Pinot Noir in the 1950s provides complete strength and structure. 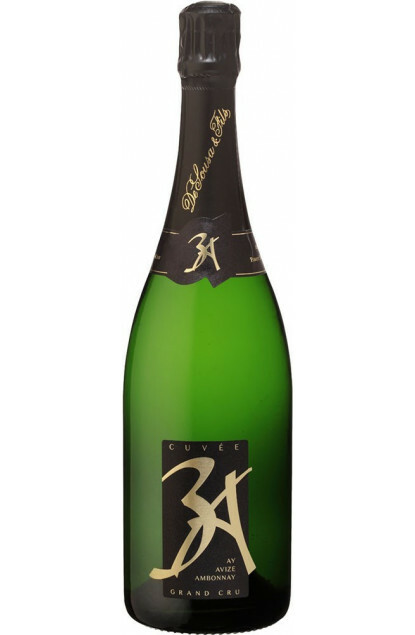 A very complex Champagne: two grapes variety and three Grands Crus terroirs. A perfect symphony between power and finesse together with notes of red berries.